There’s nothing like a good, old fashioned butterscotch candy, and our soap will have you wanting to grab a handful! 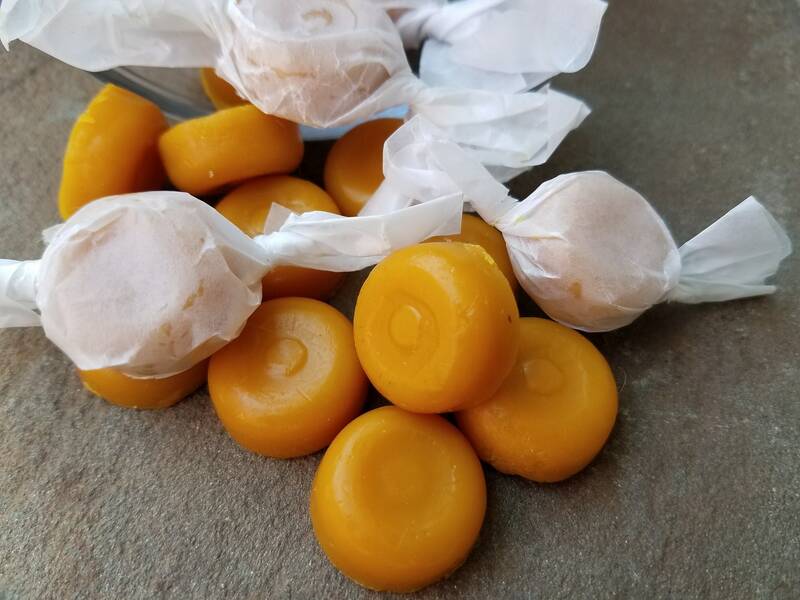 Our realistic butterscotch candies are just what you’ve come to expect from us - a sweet, sugary candy that looks like it just came out of the package. A golden brown candy scented with our Butterscotch fragrance oil. Delicious! You’ll receive a set of 25 butterscotch candy soap - some wrapped in candy paper wrappers. So much fun - and great for party favors, too. Please Note: due to the size and realistic nature of these soaps, not recommended for children under 3.